Please help us make quilts for our soldiers! National Guard members of our 276th Engineering Company (203rd Battalion) from all over our region are in Afghanistan right now. We want to give them a warm welcome home! 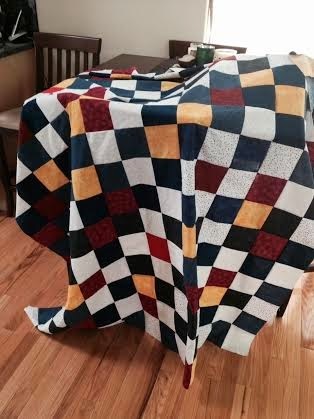 Blocks can be turned in to any branch, or mailed to the Pierce City Branch, and will be joined into as many lap-size quilts as we can make. Fabric that is not too feminine is preferred.